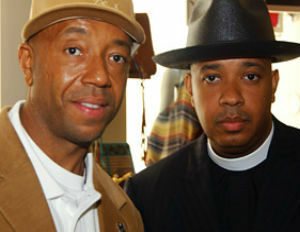 Founder of Def Jam Russell Simmons and his brother Rev Run of the iconic hip-hop group Run DMC, may be sued by a business partner in Rev. Run’s shoe company, TMZ reports. Rasheed Young, president of Run Athletics, accused the Simmons brother’s of secretly funneling millions in revenue from their Pastry brand footwear into a company that Young isn’t a part of. Young’s lawyer sent a letter to the Simmons brother’s last fall, accusing them of hiding money, which he is potentially owed.